Friday. Emom x 12min: clean (up to 100kg). 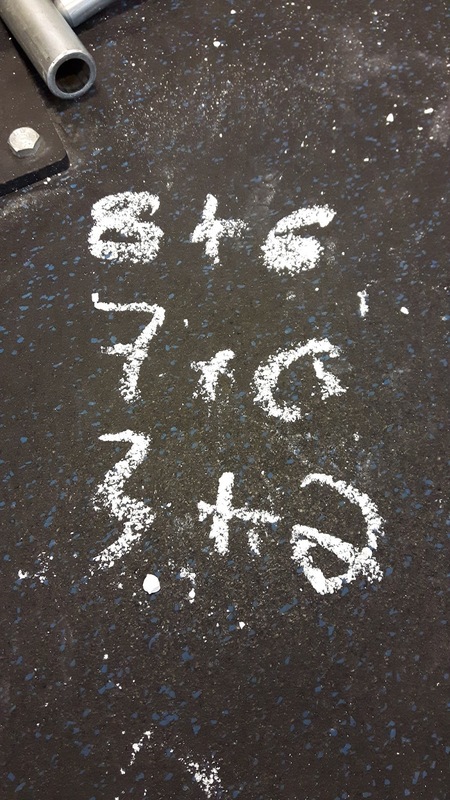 Metcon, 3x4min amraps, with 2min rest between amraps. After taking two days recovery there was no chance in this world I would have skipped the gym. It turned out to be a clean session and then a combination of metcons that I got from one pal. My plan was to hit a longer session but the traffic was quite horrible and basically cut my training time a little. Went after cleans in the beginning without that much of a warm-up. That was probably the reason why the barbell felt a little heavier than normally. I was looking forward to building heavier but decided to stay around 100kg because I didn't feel that smooth in the movement. This was a good twisted idea by Miku. Three different 4min amraps of pushing and pulling. It got tougher considering the movements the further the clock ticked. Yes, the reps decreased simultaneously. First of these metcons was the toughest for lungs. Those were light kinda light movements so I was able to move faster. It was about 50 reps each elements. Next round the pushing changed to handstand push-ups. Those went well too as it was okay to use kipping motion and thus utilize the entire body to move up and down the wall. I'm glad c2b pull-ups were just 4 reps per round. Got exactly 7 rounds at this second amrap. The last one was miserable. The fact that strict movements are not in my wheelhouse was witnessed efficiently on this one. First round of this was okay. On the second round I got a no rep (actually two of those), and since then had to singles and rest between reps. Bar muscle-ups felt a lot tougher than what I'm used to but I got them unbroken still. Breathing was heavy on the first and second metcon, and muscles burned due to keeping this body in constant movement. On the last piece breathing stabilized because I wasn't able to just go further. It was more just about hitting a wall and trying to copy with that. Thanks Miku for this combo!